​and foliage and enjoys fresh Island breezes from the Pacific! Maui Banyan H203 is located in the third building inland on the 2nd floor. There is 1 bedroom and 2 bathrooms, plus the couch in the living room folds down into a sleeper bed, allowing the unit to hold 3-4 people comfortably. We have even provided an inflatable Queen size air mattress in case you have anyone that prefers a separate sleeping space. Also works great for young kids/toddlers who are safer sleeping closer to the ground (like mine!) We have provided everything you will need to make your visit comfortable, including a starter supply of soap, laundry detergent, etc. For your convenience, we have provided phone service that includes calling in Maui, Inter-Island Hawaii, Canada, and the mainland US that is FREE and UNLIMITED! You must use your calling card or your credit card to make any other long-distance calls. We have also provided cable television service on both TV's. Remember to check out channel 7. This is what I call "The Maui Channel". 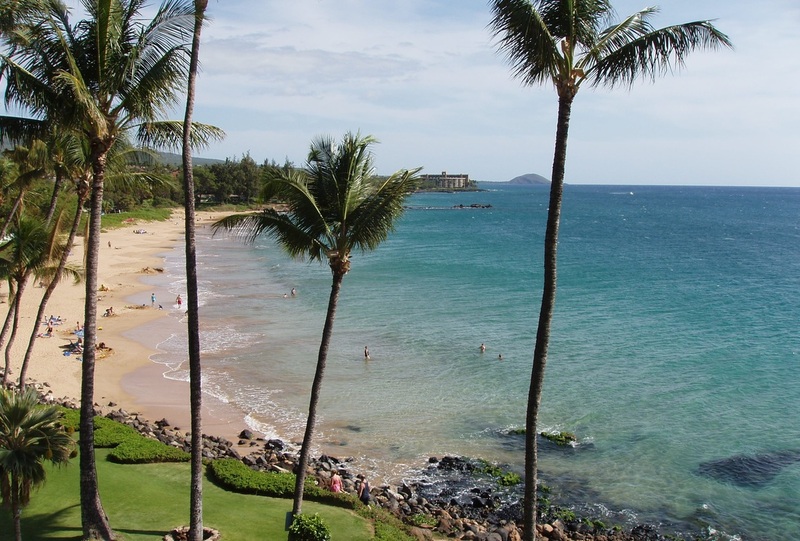 They have tons of great information on what to see and do in Maui. There is also high speed Wireless Internet provided, so feel free to bring your laptop or tablet! The lanai looks over a grassy courtyard area with views South. To the left, you see the upcountry mountains, to the right you see a peek of the ocean. Gorgeous!! Also, the unit is just far enough away from both of the pools to not have noise, but be very convenient. The best thing about being in building H though, is the beach access! It just can't be any easier to get to the beach. You don't even have to drive! Grab your towel, walk out the door, take a short 5 minute stroll through the lovely Maui Banyan grounds, cross the street, and you are there! No worrying about what you can and can't safely leave in your car. No worrying about your purse sitting on your beach chair while you are in the ocean. Hungry? Thirsty? Need a break? A short walk (and I do mean short) and you are back in your room! Replaced ALL decorations including pictures, canoe paddles, tikis, plants, surfboard, etc. Kamaole Beach Park II Across the street!